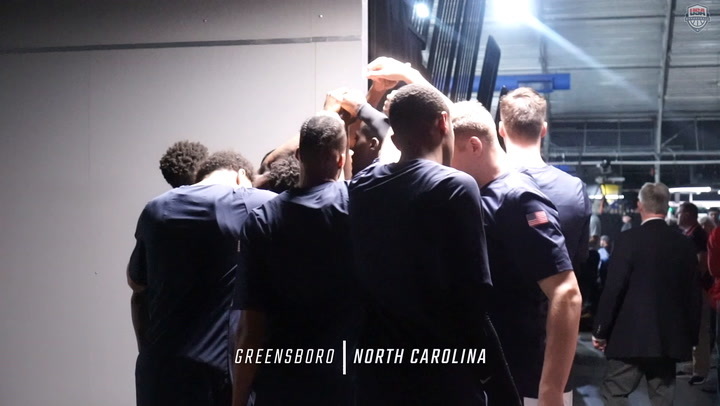 Here are the things to know about Monday's USA-Argentina FIBA World Cup Qualifying matchup in Greensboro, North Carolina. This is the final game of the 2017-19 FIBA World Cup Qualifying. The 9-2 USA Basketball Men’s World Cup Qualifying Team will meet 9-2 Argentina at 7 p.m. EST on Monday. Although the U.S. and Argentina have already earned their 2019 World Cup bids, the two teams sit tied atop of the second round Group E standings meaning the winner of this game will finish first in Group E. The USA-Argentina game will be broadcast on ESPN+. "Our sharing of the ball (23 assists on 28 made field goals) was really good. I think our second half defense was better than our first half. Then our rebounding (46 to 27) was dominant." "They physicality just sort of manhandled us and at the end of the day I think we subconsciously didn’t compete at the same level as they did. We had a hard time scoring. They’re so big, and they’re so tough and well coached, we have to score the ball more efficiently than we did in the game down there." Argentina opened play in the final window of World Cup qualifying on Friday night and lost an exciting 87-86 overtime game to Puerto Rico in San Juan. Despite Puerto Rico leading by 10 points with 1:35 remaining in the fourth quarter, Argentina rallied to tie the game and force overtime. In the recent loss to Puerto Rico, 6-foot-7 guard Nicolas Brussino and 5-foot-10 guard Lucio Redivo each tallied 16 points, while 6-foot-7 forward Marcos Mata added 11 points and 6-foot-11 forward Marcos Delia scored 10 points. Argentina head coach Sergio Hernández has a very different roster for this game than the one he relied on to defeat the USA 80-63 on Nov. 29, 2018, in La Rioja, Argentina. 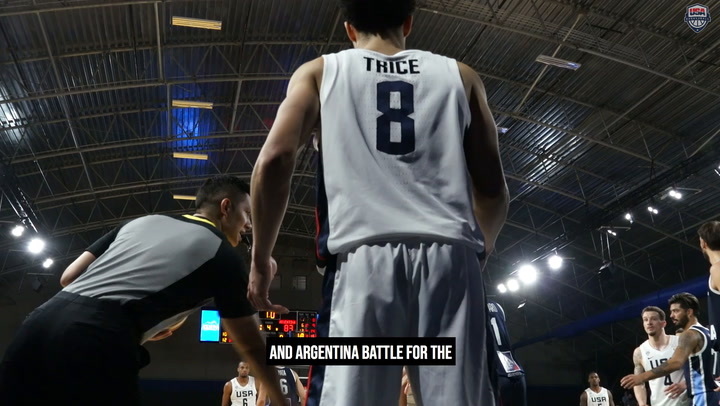 In Argentina's win over the U.S. in November, Nicolas Laprovittola scored 17 points, Redivo added 14 points, Brussino recorded 11 points and Luis Scola accounted to 10 point and nine rebounds. USA Basketball teams are 68-13 all-time versus Argentina in international play at all levels. 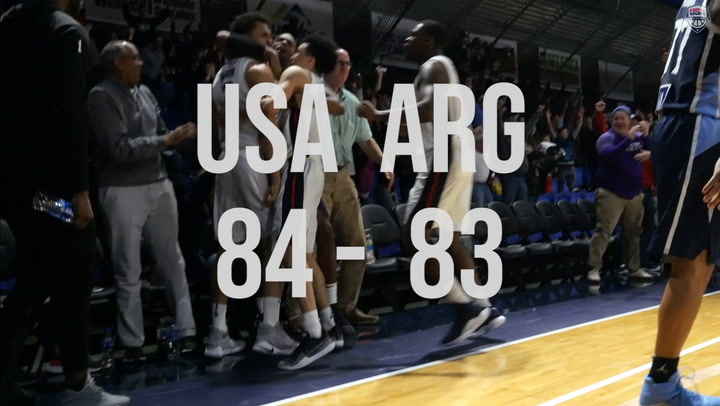 Most recently, Argentina bettered the USA 80-63 in a second round World Cup Qualifying game on Nov. 29, 2018. 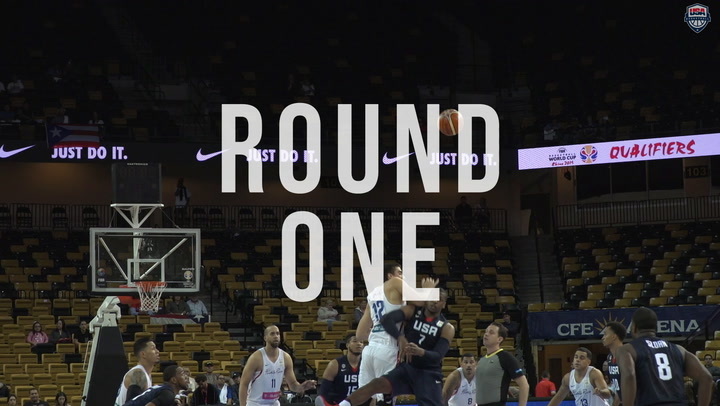 The two squads also met on Sept. 3, 2017, in Cordoba, Argentina, and the United States rallied from 20 points down in the third period to post an 81-76 in the gold medal contest of the 2017 AmeriCup. Argentina’s biggest win over the USA came in 2004 Olympics when they upended the U.S. 89-81 and went on to win the gold medal. The U.S. is 7-1 against Argentina in Olympic games; 7-3 in World Cup games; 10-1 in FIBA Americas Championships contests. After 11 FIBA Americas World Cup Qualifying games, Argentina enters Monday's game averaging a FIBA Americas second best 86.7 points a game, while the USA is third averaging 86.4 points a game. Argentina also ranks second (47.6) in field goal percentage, the USA ranks fifth (.455%); the USA ranks first in 3-point percentage (.388%) and Argentina lists fifth (.341%); the USA ranks second in rebounding (45.0 rpg.) and Argentina is eighth (40.0 rpg. ); while the USA lists seventh in turnovers (12.7) and Argentina is 10th (14.5). The USA is now 5-0 in home World Cup Qualifying games. The Americans defeated Mexico 91-55 in Greensboro (on 11/26/17); won 84-48 over Cuba (2/23/18) and Puerto Rico 83-75 (2/26/18) in Santa Cruz, Calif.; beat Uruguay 114-57 in Las Vegas (9/14/18); and defeated Panama 111-80 (2/22/19) in Greensboro. Through the six FIBA World Cup Qualifying windows, the USA's six teams have featured 54 different players who were primarily from the NBA G League. 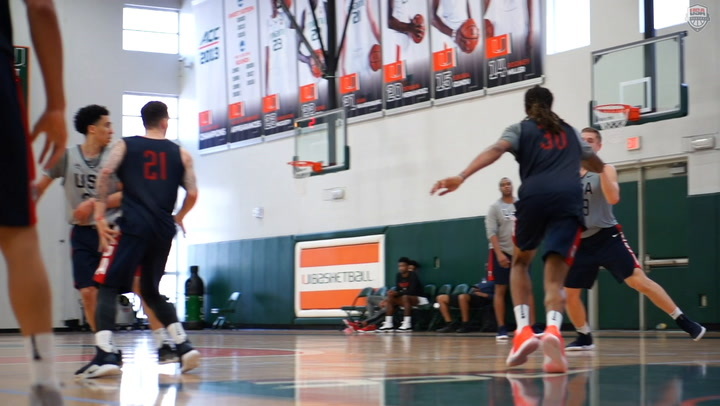 A total of 13 USA players played for more than one USA team, including Reggie Hearn, who has now played for five of the six USA teams, and Xavier Munford and Travis Trice, who have now played on three USA World Cup Qualifying teams. Following conclusion of the final window of World Cup Qualifying games on Monday (Feb. 25), who will qualify for the 2019 FIBA World Cup will be finalized. Currently, 298 teams are already officially assured of a berth in the 2019 World Cup, including Angola, Argentina, Australia, Brazil, Canada, China, Czech Republic, France, Germany, Greece, Iran, Italy, Ivory Coast, Japan, Jordan, Lithuania, New Zealand, Nigeria, Philippines, Poland, Russia, Senegal, South Korea, Spain, Tunisia, Turkey, USA and Venezuela. China qualified as the host country.